Happy Monday! 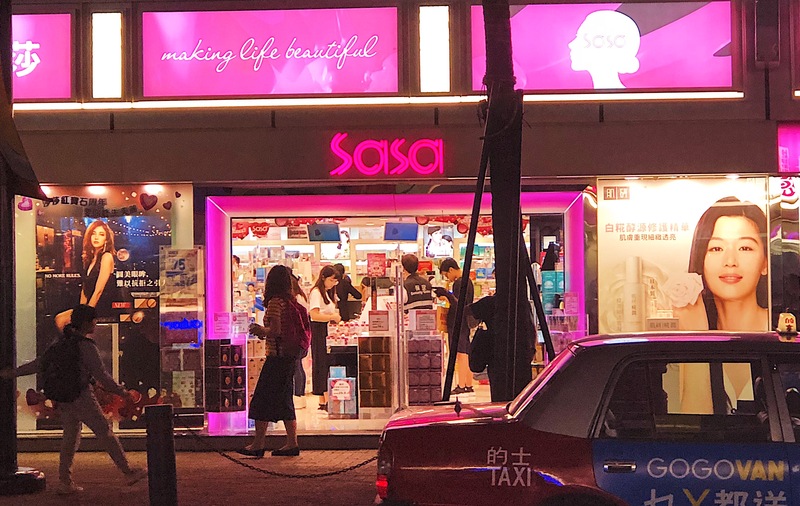 So as you might know, I visited Hong Kong a few months back and being a beauty blogger the one place that I had to visit was the SaSa stores, which is THE place to go if you want to buy some awesome K-Beauty items. I know you must be thinking – ‘why would you share a haul so late? !’ Well, the answer to that is – because I wanted to test out a few of these products and link their detailed reviews for you in this post… as a reference and recommendation 🙂 I always search online and read reviews of products before buying them, so I thought a few reviews would add some value to this Haul! I won’t lie, the first time I stepped into a SaSa store in Hong Kong I was so overwhelmed by shelves & shelves of Asian skincare and beauty products that I came out buying nothing, but then I took some time to do a little bit of research and read on what people recommended you buy and the second time I went to SaSa I had a fair idea of what I wanted to buy. I also want to point out that 99% of times the packaging on the product is in Korean or Japanese, so it’s possible that you will not be able to understand what it says, however, don’t be scared to ask the SA in the Sasa stores – they’re really friendly and they genuinely took the time to explain to me what each product was meant for. I’ve started to do Full Reviews on these products already, you can check out my review of Banila Co. Clean It Zero, AHC Premium Hydra B5 Sleeping Pack andLaneige Clear-C Peeling Mask. Let me know what product/s you would like me to review next and also don’t forget to leave me a comment telling me if you’ve ever been to a SaSa store and what your favourite SaSa finds are! Omg I’d go crazy inside a SaSa store! I would love to see a review on the lip creams! I’ll definitely review them soon for you! You got a lot of great items! I’m interested in a review of the Cosrx Acne Pimple Master Patch. Do they really work?! I’ve been using the Cosrx Pimple Patches a lot lately because I’m breaking out. So, if the pimple has developed and come to a head, this will get rid of it in one single use. It pulls out all the gunk from underneath the skin and I’ve also noticed, the scarring is way lighter than if I were to let it pop naturally. Also, if the pimple is under the skin, this won’t bring it to the surface, BUT, what I’ve noticed is that it really helps to take down the inflammation and soothes the pimple.